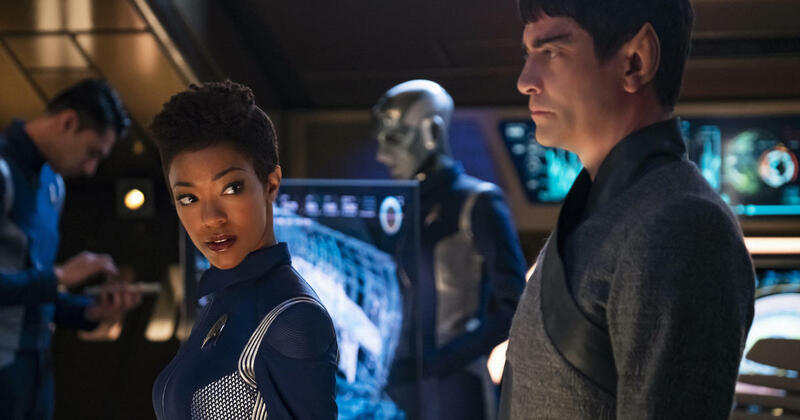 The Movie Sleuth: Star Trek: Discovery Season 2: Will it get Trekkies On Board? Star Trek: Discovery Season 2: Will it get Trekkies On Board? The first season of Star Trek: Discovery elicited mixed responses from both fans and critics. The controversial re-design of the Klingons had a lot of fans up in arms before they even saw an episode. Their ire only seemed to grow as the season progressed. Fans have had a few months to get used to this new Trek iteration. But will they give season two a warmer reception, or did Discovery commit a fatal flaw by veering too far from canon? The trailers for Discovery’s second season show a lot of promise, with visuals that make you glad you have a big screen & projector at home to watch it on. (You might want to check this “Projectors under 500” Guide) The introduction of more characters from the original series has some fans on edge, but if they live up to the promised excitement of the plot, this season could definitely win over the fans still on the fence. Why were people so hard on Discovery? Discovery invited its initial scrutiny by setting the show only ten years before the original Star Trek. Even Enterprise faced this kind of opposition and it had a hundred-year cushion in which to explain away any inconsistencies. In-world logic is one of the Star Trek universe’s strengths, so it’s understandable why fans would tense at the thought of potential continuity breaks. Then again, after 5 series and 14 movies, you have to wonder what other choice the series had. Boldly going where none have gone before is right there in the show’s tagline. No franchise wants to get stale, but it’s particularly important for a show to constantly reinvent itself when forward thinking is a key part of its identity. But was the first season really that bad? For what it’s worth, as someone who has seen all 741 episodes of Stark Trek at least once, I thought the first season of Discovery stood toe-to-toe with the rest of the franchise. The flawed captain works for the plot, and it’s refreshing that he’s not the primary focus of the show. It’s a Star Trek of its times in terms of storytelling: serial more than it’s episodic with its focus primarily on flawed anti-heroic characters. It’s different, and unique, but it’s still Star Trek. One look at the space tardigrade will tell you that—it’s the perfect “monster that’s not a monster” Star Trek is so good at. With any universe as well-built as Star Trek’s there’s the temptation to put the canon on a pedestal. Sure the first season of The Next Generation introduced us to Q. It also attempted to make the Ferengi its key antagonists and featured some of the worst CGI ever seen on cable television. Every show is going to make some mis-steps when it’s finding its footing, and even a storied franchise like Star Trek is no exception. So how can the show win fans over? Historically, there are two ways a Star Trek series will play out. Either it will gain a following and enjoy a long, 7-season run (The Next Generation, Deep Space Nine, Voyager), or it’s plagued by low viewership numbers and critical disdain and fizzles out after 3 seasons (The Original Series, Enterprise). This makes the second season arguably the most important for any Star Trek franchise. How the show moves forward in the face of its lukewarm reception will be interesting to see as the season progresses. Discovery has so far been substantially different from past Star Trek series in a lot of key ways. The best way for the show to survive is for it to embrace this identity and push it even further. The cross-series cameos in the first season were fun, and they did their job of cementing the series firmly in the Trek universe. In season two, they’ve added Spock and Captain Pike—characters that can work in this world, as long as the writers make them Discovery’s characters and don’t rely on familiarity to drive the storyline. If Discovery solidifies its identity in season two, public opinion will shift, and the fans will start taking a more interested—and less critical—view of this new series. If it keeps relying on the franchise past to hold it up, though, we’ll be in for another short-lived Star Trek series.